Don’t let a small space keep you from hosting a big night. 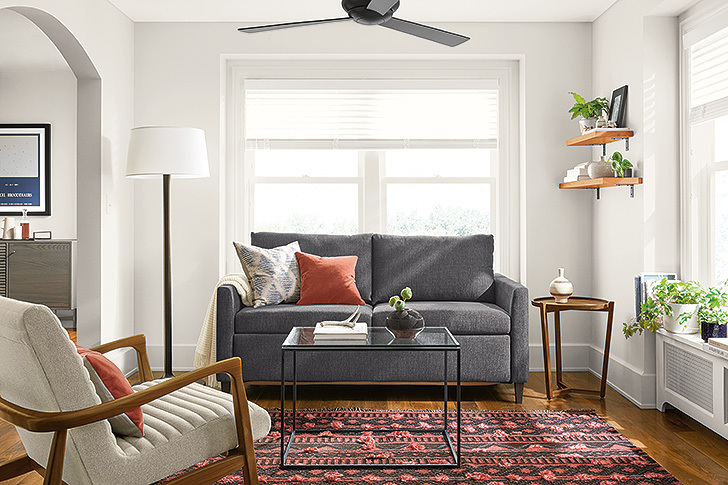 Check out some of our favorite furniture and decor items below to make entertaining easy and stylish, even in the tiniest of spaces. Think of Slim as less of a bar cart and more of a general party cart. 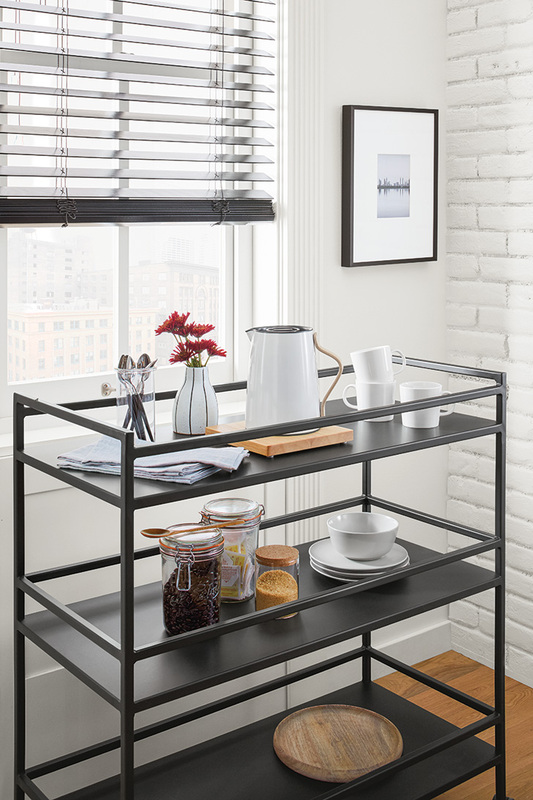 You can fit an entire night on three spacious shelves – drinks, snacks, silverware and more. The smooth-moving wheeled base makes touting around easier than ever. 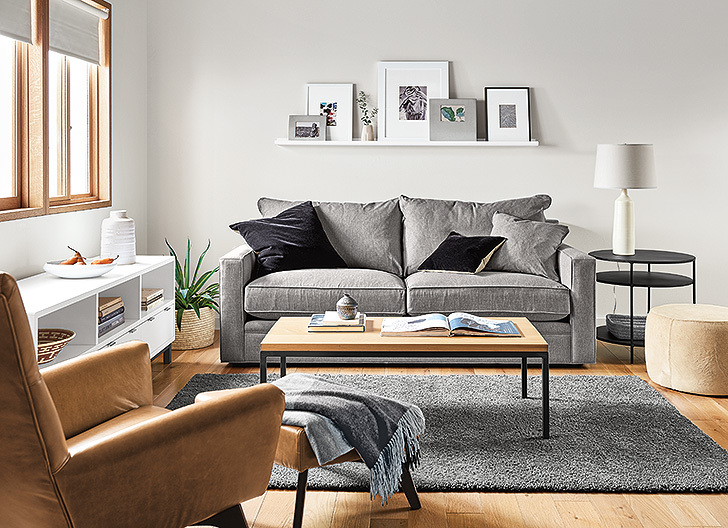 This hardworking small space living room has all the elements of a successful party. A few guests can get comfortable on the Orson sofa. The Copenhagen cabinet, Lind cowhide ottoman and even the Parsons coffee table can all double as extra seating. Otherwise, feel free to throw up your feet or set drinks and snacks down. 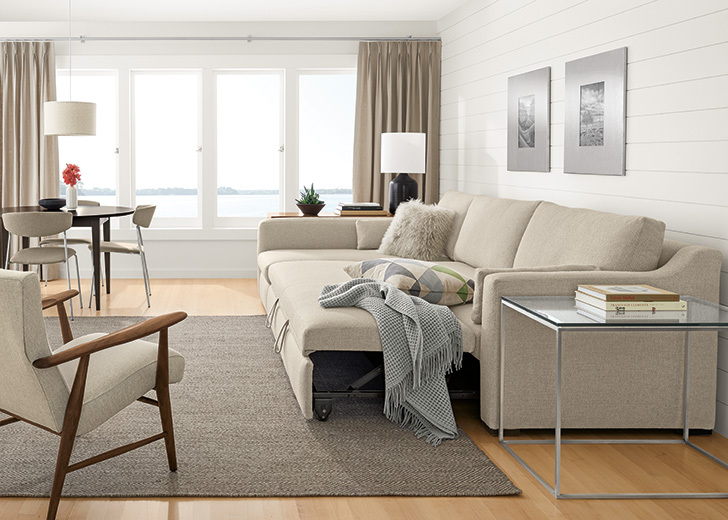 Overnight guests will feel like they’re in a luxury hotel with a Room & Board sleeper sofa. 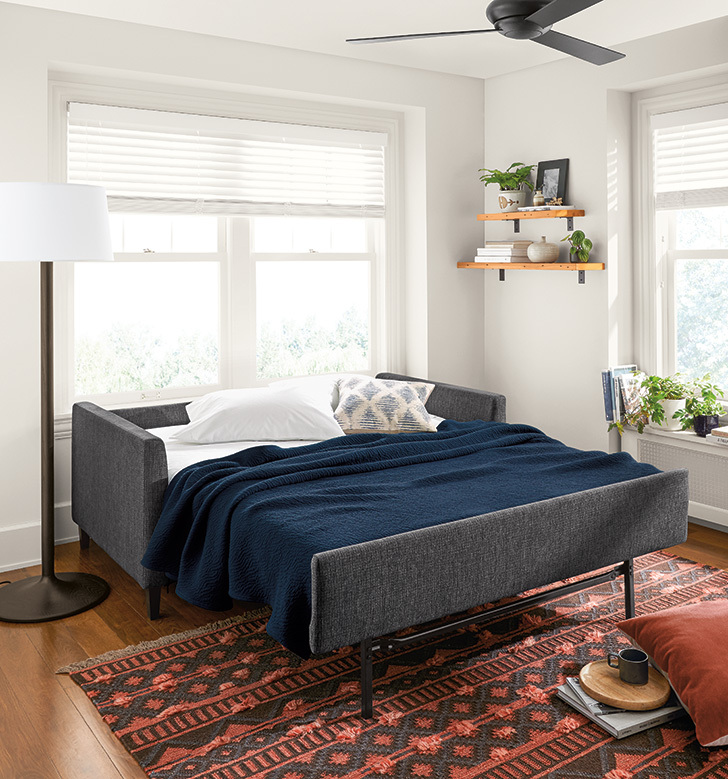 The Allston slope arm Day & Night sleeper has a clean silhouette and compact size, making it a great sleeper for smaller spaces. Guests will love the high-resiliency foam mattress. Allston’s fold-down back becomes part of the sleep surface for the smallest possible footprint when open. Our Day & Night sleepers take up less floor space than conventional sleeper sofas, while still providing true mattress sizing. Maximize movie night with a Pop-up Platform sleeper sofa, like Whitman. Use it as a sofa, two twin beds, one queen bed or an over-sized chaise lounge. Simply roll out the sofa’s front rail like a trundle. If we’re picking favorites, the Covent wine rack is at the top of the list. 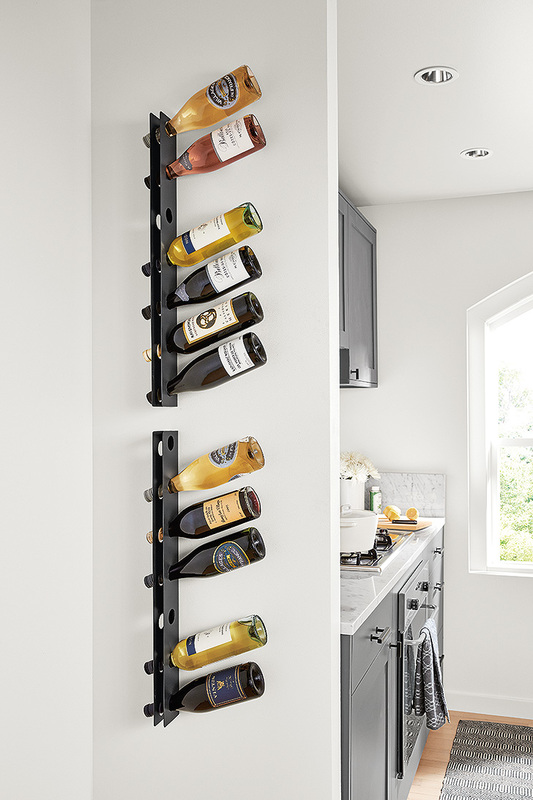 It holds seven wine bottles and makes the most of vertical space, so you don’t have to worry about taking up room on your counter or in a bar cart.